It’s that time again…time for us to go on about one of our brides with spot-on taste. 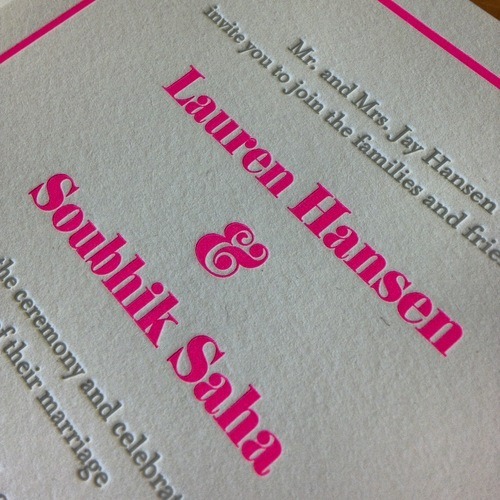 Neon is all over the place now and we’re so excited to have used it in an invitation. 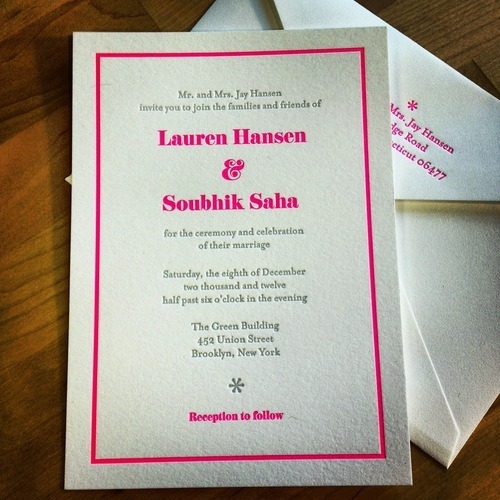 Check out this neon pink invite for an upcoming winter wedding!